I’m calling it now, 2019 is going to be the year of action! .NET Core Tutorials has been running strong for over 2 years now (We were there right from the project.json days). Back then, people were fine reading all about the latest features of .NET Core. But these days, people want to be shown. Live! That’s why I’m starting live coding sessions on Twitch.tv every Wednesday and Sunday. I’ll be covering a variety of topics, but you’ll often catch me doing live blog writing sessions where you can get a sneak peak of content before it goes live and ask any questions while I’m doing live coding. We’ve already had some great questions in chat while doing our post on C# 8 IAsyncEnumerable. So get amongst it. Head on over, drop a follow, and tune in next time! But enough about me, I want it to be a year of action for you too. That’s why I’m giving away a copy of *any* of Manning’s classic “In Action” books. You know, those ones with the ye olde covers. Like this ASP.net Core In Action book by Andrew Lock (Who is a great author by the way!). I bold the word *any* above because it’s not just ASP.net Core In Action, but actually any “In Action” book you want. Want to learn Redux in 2019? Try Redux In Action. Want to learn all about Amazon Web Services? Try AWS In Action. How about learning a bit of data science in R? Well… You guessed it, try R In Action. Infact just head over to Amazon and check out any of the In Action titles and start drooling over which one you want if you win! Use any of the entry options below (or multiple), and you are in to win! It’s that easy! At Microsoft Build today, it was announced that a Windows Desktop “pack” or “addon” would be released for .NET Core. It’s important to note that this is a sort of bolt on to .NET Core and actually won’t be part of .NET Core itself. It’s also important to note that this will not make Desktop Applications cross platform. It’s intended that the desktop apps built on top of .NET Core are still Windows only as they have always been (This is usually due to the various drawing libraries of the operating systems). So you may ask yourself what’s the point? Well..
.NET Core comes with it’s own CLI and tooling improvements that you may prefer over the bloated .NET Framework style. For example a much cleaner .csproj experience. Easy to test different .NET Core runtimes on a single machine due to how .NET Core allows multiple runtimes on a single machine. You can bundle .NET Core with your desktop application so the target machine doesn’t require a runtime already. You can bundle .NET Framework with desktop applications, but it basically just does a quick install beforehand. I think most of all is going to be the speed of .NET Core releases. At this point .NET Core is creating releases at a breakneck speed while the next minor release of the .NET Framework (4.7.2 -> 4.8) is expected to ship in about 12 months. That’s a very slow release schedule compared to Core. While Core doesn’t have too many additional features that .NET Framework doesn’t have, it likely will start drifting apart in feature parity before too long. That’s slightly a taboo subject at times, and it’s actually come up before when Microsoft wanted to discontinue support for running ASP.net Core applications on full framework. Microsoft did cave to pressure that time around, but it’s simply undeniable that Core is moving at a faster pace than the full Framework right now. There is a current proposal that’s getting traction (By some) to make it into C# 8. That’s “default interface methods”. Because at the time of writing, C# 8 is not out, nor has this new language feature even “definitely” made it into that release, this will be more about the proposal and my two cents on it rather than any specific tutorial on using them. Before I start, it’s probably worth reading the summary of the proposal on Github here : https://github.com/dotnet/csharplang/issues/288. It’s important to remember is that this is just a proposal so not everything described will actually be implemented (Or implemented in the way it’s initially being described). Take everything with a grain of salt. // Absolutely no body required. var helloWorld = myService.HelloWorld(); //Returns the string "Hello World"
The general idea is that this will now allow you to do some sort of multiple inheritance of behaviour/methods (Which was previously unavailable in C#). There are a few other things that then are required (Or need to become viable) when opening this up. For example allowing private level methods with a body inside an interface (To share code between default implementations). Interfaces define behaviour, classes define state. And that does make some sense. Interfaces still can’t define a constructor, so if you want to share constructor logic, you will need to use an abstract/base class. An interface also cannot define class level variables/fields. Classes also have the ability to define accessibility of it’s members (For example making a method protected), whereas with an interface everything is public. Although part of the proposal is extending interfaces with things like the static keyword and protected, internal etc (I really don’t agree with this). Because the methods themselves are only available when you cast back to the interface, I can’t really see it being a drop in replacement for abstract classes (yet), but it does blur the lines just enough to ask the question. This feels like one of those things that just “feels” wrong. And that’s always a hard place to start because it’s never going to be black and white. I feel like interfaces are a very “simple” concept in C# and this complicates things in ways which I don’t see a huge benefit. 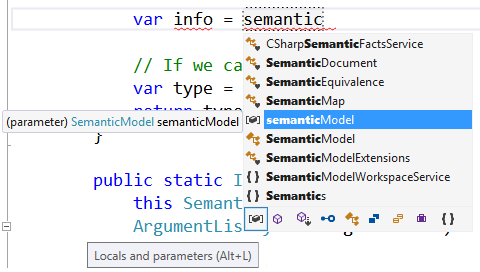 It reminds me a bit of the proposal of “Primary Constructors” that was going to make it into C# 6 (See more here : http://www.alteridem.net/2014/09/08/c-6-0-primary-constructors/). Thankfully that got dumped but it was bolting on a feature that I’m not sure anyone was really clamoring for. But then again, there are some merits to the conversation. One “problem” with interfaces is that you have to implement every single member. This can at times lock down any ability to extend the interface because you will immediately blow up any class that has already inherited that interface (Or it means your class becomes littered with throw new NotImplementedException() ). There’s even times when you implement an interface for the first time, and you have to pump out 20 or so method implementations that are almost boilerplate in content. A good example given in the proposal is that of IEnumerable. Each time you implement this you are required to get RSI on your fingers by implementing every detail. Where if there was default implementations, there might be only a couple of methods that you truly want to make your own, and the default implementations do the job just fine for everything else. All in all, I feel like the proposal should be broken down and simplified. It’s almost like an American political bill in that there seems to be a lot in there that’s causing a bit of noise (allowing static, protected members on interfaces etc). It needs to be simplified down and just keep the conversation on method bodies in interfaces and see how it works out because it’s probably a conversation worth having. I’ve recently been playing around with all of the new features packaged into C# 7.2. One such feature that piqued my interest because of it’s simplicity was the “in” keyword. It’s one of those things that you can get away with never using in your day to day work, but makes complete sense when looking at language design from a high level. I think I should just quickly note how to actually access C# 7.2 features as they may not be immediately available on your machine. The first step is to ensure that Visual Studio is up to date on your machine. If you are able to compile C# 7.2 code, but intellisense is acting up and not recognizing new features, 99% of the time you just need to update Visual Studio. When passing value types into a method, normally this would be copied to a new memory location and you would have a clone of the value passed into a method. When using the in keyword, you will be passing the same reference into a method instead of having to create a copy. While the performance benefit may be small in simple business applications, in a tight loop this could easily add up. But just how much performance gain are we going to see? I could take some really smart people’s word for it, or I could do a little bit of benchmarking. I’m going to use BenchmarkDotNet (Guide here) to compare performance when passing a value type into a method normally, or as an in parameter. We can definitely see the speed difference here. This makes sense because really all we are doing is passing in a variable and doing nothing else. It has to be said that I can’t see the in keyword being used to optimize code in everyday business applications, but there is definitely something there for time critical applications such as large scale number crunchers. While the performance benefits are OK something else that comes to mind is that when you use in is that you are being explicit in your design. By that I mean that you are laying out exactly how you intend the application to function. “If I pass this a variable into this method, I don’t expect the variable to change”. I can see this being a bigger benefit to large business applications than any small performance gain. A way to look at it is how we use things like private and readonly . Our code will generally work if we just make everything public and move on, but it’s not seen as “good” programming habits. We use things like readonly to explicitly say how we expect things to run (We don’t expect this variable to be modified outside of the constructor etc). And I can definitely see in being used in a similar sort of way. in – Passes a variable in to a method by reference. Cannot be set inside the method. ref – Passes a variable into a method by reference. Can be set/changed inside the method. out – Only used for output from a method. Can (and must) be set inside the method. So it certainly looks like the ref keyword is almost the same as in, except that it allows a variable to change it’s value. But to check that, let’s run our performance test from earlier but instead add in a ref scenario. So it’s close when it comes to performance benchmarking. However again, in is still more explicit than ref because it tells the developer that while it’s allowing a variable to be passed in by reference, it’s not going to change the value at all. While writing the performance tests for this post, I kept running into instances where using in gave absolutely no performance benefit whatsoever compared to passing by value. I was pulling my hair out trying to understand exactly what was going on. What will the output be? If you guessed 1. You would be correct! So what’s going on here? We definitely told our struct to set it’s value to 1, then we passed it by reference via the in keyword to another method, and that told the struct to update it’s value to 5. And everything compiled and ran happily so we should be good right? We should see the output as 5 surely? The problem is, C# has no way of knowing when it calls a method (or a getter) on a struct whether that will also modify the values/state of it. What it instead does is create what’s called a “defensive copy”. When you run a method/getter on a struct, it creates a clone of the struct that was passed in and runs the method instead on the clone. This means that the original copy stays exactly the same as it was passed in, and the caller can still count on the value it passed in not being modified. Now where this creates a bit of a jam is that if we are cloning the struct (Even as a defensive copy), then the performance gain is lost. We still get the design time niceness of knowing that what we pass in won’t be modified, but at the end of the day we may aswell passed in by value when it comes to performance. You’ll see in my tests, I used plain old variables to avoid this issue. If you are not using structs at all and instead using plain value types, you avoid this issue altogether. To me I think this could crop up in the future as a bit of a problem. A method may inadvertently run a method that modifies the structs state, and now it’s running off “different” data than what the caller is expecting. I also question how this will work in multi-threaded scenarios. What if the caller goes away and modified the struct, expecting the method to get the updated value, but it’s created a defensive clone? Plenty to ponder (And code out to test in the future). So will there be a huge awakening of using the in keyword in C#? I’m not sure. When Expression-bodied Members (EBD) came along I didn’t think too much of them but they are used in almost every piece of C# code these days. But unlike EBD, the in keyword doesn’t save typing or having to type cruft, so it could just be resigned to one of those “best practices” lists. Most of all I’m interested in how in transforms over future versions of C# (Because I really think it has to). What do you think? I recently had the opportunity to log a bug against Entity Framework Core on Github with the Microsoft team. Before I sent it through, I took a look at other issues listed against the project to see the best way to describe my problem in such a public forum. While some reports were really detailed and got right to the heart of the issue, others were really weak and were likely better off being StackOverflow questions. Sometimes the reports actually did sound like they could be bugs, but just had absolutely no detail in them to take any further. Sometimes the user just didn’t quite know how to articulate the issue, and instead of outlaying the problem via code (We are developers after all), they just gave a wall of text to try and describe the problem they were having. A simple thing, but something that didn’t look like it was happening as much as it should. The amount of code that I use in day to day work that is open source is actually astounding to think about when compared to just a few years ago. With that in mind, everytime I start getting weird exceptions that I think could be a bug, I immediately go and check if I am able to get my hands on the source code to have a look. I think sometimes people have a fear that the code will be way over their heads and difficult to understand. But it can be as simple as searching an open source project for the exception message or error code you are getting. Let’s take my bug for example. It related to an exception being thrown from Automapper with very specific wording. Literally all I did was try and do a search on Github for the exact error message and what do you know! OK so that’s given us a pretty good idea that the configuration is being set twice for some reason. It sets our brain in motion for different ways we could test theories about why this would be happening. As it turned out, it’s because a particular method in .NET Core runs twice when it should only be running once. And the reason it only happened in particular with Automapper was because the variable itself is static in the Automapper code (Another thing we learned by taking a look at the source ourselves). We may not be able to completely code a fix, but will atleast help us to better articulate the issue and come up with simple repo steps when we log our bug report. Don’t forget to explain what you’ve already looked into or done when logging the issue too. I saw a couple of bugs logged that had quite a bit of back and forth along the lines of “Can you try doing this?”, and the reply being “Yes, I have already tried that”. Well then put it in the report! Many reports start off with “Create a web project, then add this nuget package with this particular version, and then write code that does XYZ, then …”. It quickly becomes hard to follow and actually ends up with some sort of miscommunication issue anyway. Creating a minimal code solution in it’s repository serves two purposes. The first is that you no longer have to explain exactly how someone can replicate the issue. The second is that it actually helps you remove any possible issues with your own code. Isolating the bug to it’s simplest possible form in a nice stand alone application is one of the biggest things you can do to help move a bug report along quickly. And remember, it doesn’t have to be some amazing engineering feat. The Github repository I submitted with my bug report can be found here. It’s literally the Web API standard project template (Complete with the default routes and controllers), with a couple of extra lines in my startup file to replicate the bug. It may seem like going to this effort to upload what is almost a default project is a big hassle, but if you don’t, then the developer looking into your bug will have to do it anyway. And finally, while you may have created a repository replicating the issue, it’s still a good idea to be able to reduce the bug down to as few lines of code as possible and have this code sitting in the bug report itself. Even pseudocode is better than nothing. Let’s try something. I’ll explain a fictitious bug first in words, then in code. When I run a select on a list that contains a cast, then call first on the return list, I get an error. If I don’t cast in the select (But still run the select) on the list, then call First, I don’t get an error. Which one is easier to follow for you? If you’re a developer, I can almost guarantee that looking at code is easier for you. When we’ve spent years looking at lines of code on our screen, it just *clicks* in our brain when we see it there. Now that doesn’t mean that you shouldn’t also write a concise description of your bug too! That’s still important. And the same can be said for creating an entire solution to replicate your issue. Pasting lines of code into a bug report supplements your reproducible solution, it doesn’t replace it. There’s a tonne of nuances around logging bugs for open source projects. Especially when the projects are as big as some of the Microsoft ones are. I could go on and on with other smaller issues that seemed to stall bug reports, but to me these were the big 3 that almost all bugs that got thrown back over the fence were lacking. What’s your tips for a good bug report? Drop a comment below and let us know. Microsoft has released an urgent patch to various packages in .net core. If you are using any of the following packages directly, or any packages you use are also dependent on these packages you should update them immediately. You can read the full advisory on Github here. To fix direct dependencies, you should simply open your csproj file for your project and check package references for the ones above. If you find any, then you should update to the fixed package version and redeploy immediately if your project is in production. The package for Microsoft.AspNetCore version 1.0.3 is vulnerable. Update the version to 1.0.4. Transitive dependencies are dependencies of libraries that you are directly using. These are harder to track down but still simple to fix. Open your project.assets.json file for your project (Should be in your project folder). Search inside this file for any dependencies that match the vulnerable package list above. If you find a vulnerable package, you need to manually add a reference to the fixed package in your csproj. The csproj version will override any transitive dependencies from other libraries (think of it like version forwarding in web.configs). If you have a .net core web app that is still on project.json, the process is much the same. For more info read the full advisory on Github here. Straight into the important links. There are a tonne of blogs out there talking about the release, so let’s just jump straight into the 5 features that I think developers will be most excited about. There is a tonne of new stuff coming out, but I think these are the features that will impact developers lives on an almost daily basis. There has been addons for years that run unit tests as you type and let you know if your unit tests are falling apart, well now Microsoft has added the support to Visual Studio natively! Again Microsoft have outdone themselves by supporting not only MSTest, but XUnit and NUnit are also supported. A new feature in the debugger, when stopped at a breakpoint in your code, you can now continue execution to a “point” where your mouse clicks rather than having to place a breakpoint every few lines and step through. 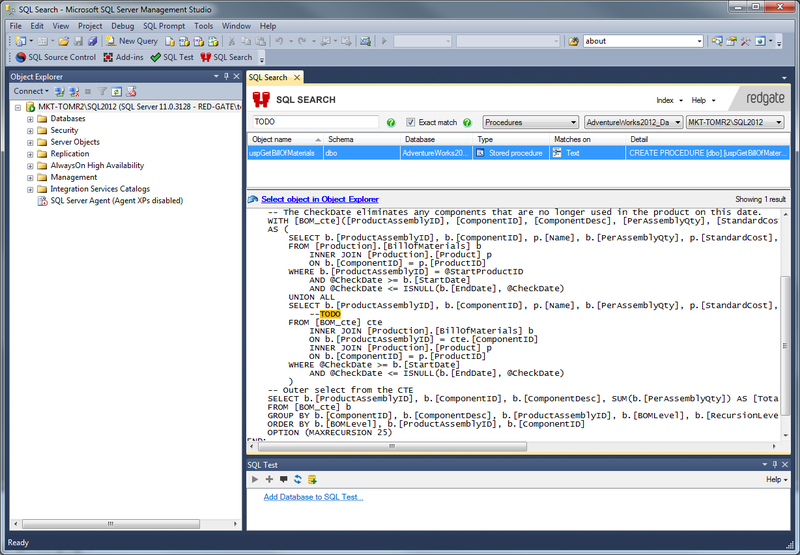 Built into every version of Visual Studio (Including the free Community version), is Redgate’s SQL Search product. How many times have you wanted to know whether a column is referenced anywhere, and you are faced with the daunting task of searching through a massive lump of Stored Procedures? Redgate SQL search takes care of this by allowing you to do a text search across every database object. 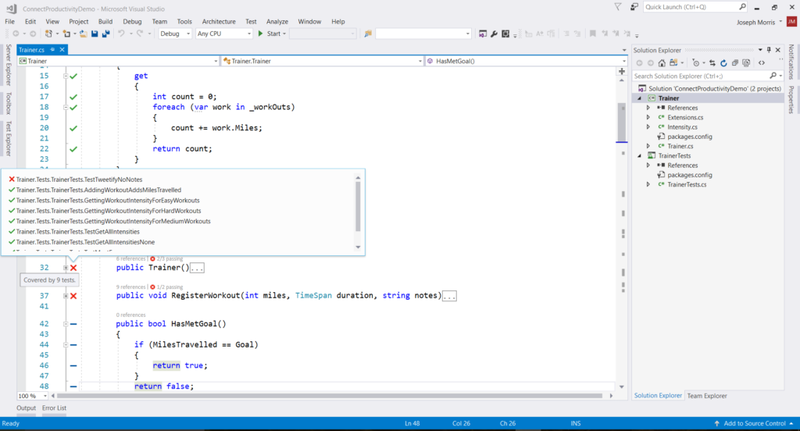 It really is an awesome product and it’s great that it’s now part of Visual Studio. Intellisense now has a tray that allows you to filter the member list by type. This means that when you are working with an unfamiliar library (Or a new code base), and you know that “there should be a method that does XYZ”, you can now filter to only methods and ignore all properties. This feature alone makes upgrading to Visual Studio 2017 worth it. Note that the feature is not enabled by default, to do so : go to Tools > Options > Text Editor > [C# / Basic] > IntelliSense and check the options for filtering and highlighting. Up until Visual Studio 2017, the Git implementation in VS was built using Github’s libgit2. For most people this was fine, but there were a few features available to you on the command line that weren’t available to you inside Visual Studio. Most notably, the use of SSH keys. While most people who already use Visual Studio’s GIT tools are probably happy with existing functionality, it’s always good to have the tools on parity with what’s already out there. Something else you are excited about? Drop a comment below and let us know!